Paris, Oct 29 (IANS) Star Indian shuttler Kidambi Srikanth defeated Japan’s Kenta Nishimoto in straight games to win the men’s singles title at the French Open Superseries here on Sunday. Srikanth dominated from the start to carve out a 21-14, 21-13 win in 34 minutes. 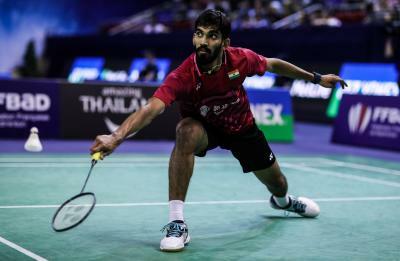 Sunday’s win helped the eighth seeded Indian to improve his head-to-head statistics against the unseeded Japanese to 2-0.